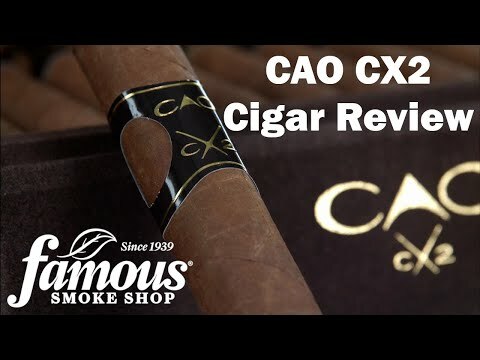 CAO CX2 cigars (Cameroon times two) present a rich-tasting, medium-bodied cigar brimming with velvety-smooth flavor and a seductive aroma. These fine cigars boast a perfectly-balanced blend of robust Nicaraguan and Colombian longfiller tobaccos surrounded by TWO rare, Grade-1 African Cameroon binder and wrapper leaves. The smoke is laden with earthy-woody flavors underscored by sweet tobacco notes. One of CAO's BEST blends. Order a box or start with a 5-pack now.